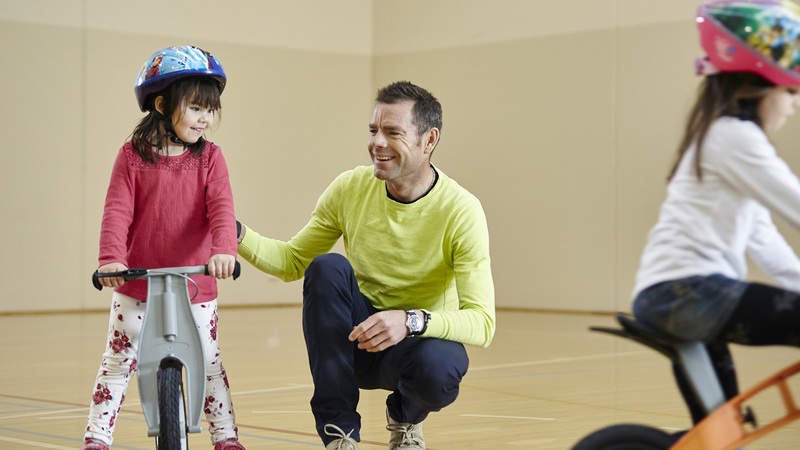 If you’re a parent to a toddler, you’ve probably seen or heard about balance bikes. These small and pedal-free bikes are taking over from training wheels as the popular choice for first-time riders. Here are just a few reasons why balance bikes are a great way to introduce your child to the joy of bike riding. Balance bikes also let kids use their feet to stop, steer and turn around, giving them more control, as well as the confidence to keep riding. Balance isn’t the only useful thing your child will learn from one of these bikes. The design of a balance bike encourages kids to use their arms and lift their legs when moving forward. This not only helps them to build up their strength, it also helps them to fine tune their motor skills, coordination and agility. The seat of a balance bike is a lot closer to the ground than on a regular bike. If your little one does fall they won’t have far to go. Plus, a balance bike can only go as fast as your child can push, which means you won’t have to worry about any high-speed crashes. "Once your child has learnt how to balance, they’ll soon be able to move up to a regular bike without the need for training wheels." Riding a bike is not only a lot of fun – it’s a great way to get kids moving. Kids as young as two years old will love zooming about on a balance bike, or better yet, joining in on a family bike ride. The earlier you encourage your kids to start exercising, the more likely they will develop healthy habits for life. The compact design of balance bikes makes them easy to transport. They’re small enough to pop on the backseat of the car and light enough to pick up and carry home if your child gets tired of riding. Balance bikes take the hard work out of teaching your child how to ride. Once your child has learnt how to balance, they’ll soon be able to progress to a regular bike without the need for training wheels. Once they’ve mastered their balance bike, they’ll be itching to ride with the ‘big kids’ in no time.